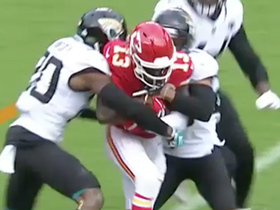 Analysis: This isn't a good look for a player who spent most of the season on injured reserve and will now become an unrestricted free agent in March. 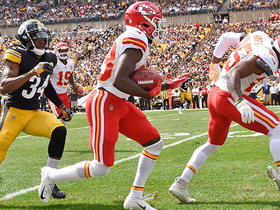 Kansas City Chiefs wide receiver De'Anthony Thomas catches a short pass and runs through defenders, including Jacksonville Jaguars cornerback Jalen Ramsey. 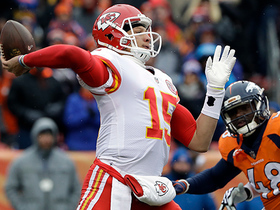 Kansas City Chiefs quarterback Patrick Mahomes throws his first career interception to Denver Broncos defensive back Darian Stewart. 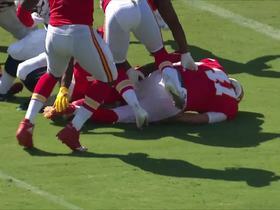 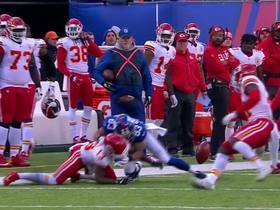 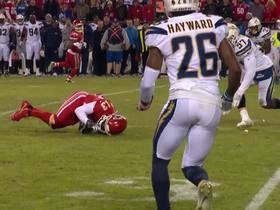 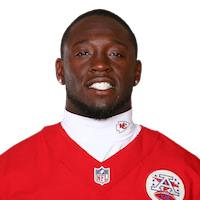 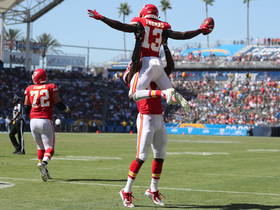 Kansas City Chiefs wide receiver De'Anthony Thomas makes diving catch for a gain of 4 yards. 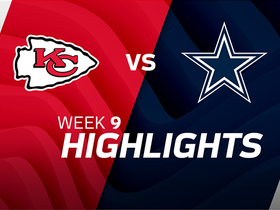 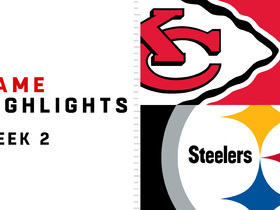 Check out the highlights from the Dallas Cowboys 28-17 victory over the Kansas City Chiefs. 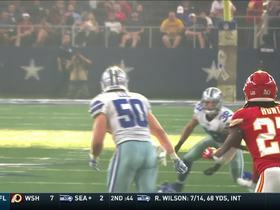 Dallas Cowboys wide receiver De'Anthony Thomas makes the grab for 22-yard gain.